We get it. You took advantage of the Black Friday and Boxing Day sales, and now you have hundreds of pages of new PDF patterns sitting on your laptop. And now you’re facing the daunting task of trimming and taping those hundreds of pages together before getting a usable pattern. Like the rest of us, you’d really rather be sewing, wouldn’t you? We see this question come up in the CSC Facebook all the time: Is there an easy way to print out PDF pattern files so that you don’t have to spend hours trimming and taping when you’d rather be sewing? Luckily, most indie pattern companies now include a “large format” option as part of their PDF download packages. The large format option allows you to print your pattern via an engineering plotter, so that you can print the entire pattern out on just a few large sheets of paper. Using the popular US-based printing website pdfplotting.com as an example, this tutorial will walk you through how to submit your large format PDF pattern files to have them printed out for you. The process will likely vary slightly for other printing vendors, but hopefully, this tutorial will help you figure out what sort of information you’ll need to have if submitting files to another vendor. Identify the file dimension(s) for your PDF pattern. Package your similar-sized PDF files into a ZIP file. Upload your pattern ZIP file(s). Before you can submit your large-format PDF patterns for printing, you will need to determine the printed width and height of those files. Many large-format PDF files will be labeled as “A0” format, but some are just labeled as “copyshop format”. You’ll need to get the actual file dimensions before submitting them for printing. Open the file in a PDF viewer. For this tutorial, we’ll use the free Adobe Acrobat Reader. A File Properties window opens. On the File Properties window, locate the Page Size and Number of Pages fields. Record these numbers for each PDF pattern that you plan to submit for printing. For each of your patterns that are the same page size, group them together and compress them into a ZIP file. Make note of how many printed pages are in each ZIP file. On the order page, find the page size that corresponds to the pages in your ZIP file. Selecting a page count enables a Browse… button. Click the Browse… button and navigate to the appropriate ZIP file. Once selected, the file name will display next to the Browse… button. Repeat Steps 1-3 for each ZIP file that you are submitting. Scroll down to the bottom of the page, and click Add to Cart to upload your ZIP files and add the items to your online cart. Review your cart to make sure that the totals are correct. Note that for PDF Plotting, your order must total at least $7.49 (USD) before you’ll be able to check out. When you are ready to check out, scroll down and click the Proceed to Checkout button. Enter your personal information as directed, and submit your order. That’s it! Your patterns will arrive shipped to your address in a cardboard mailing tube in a few days. I love this article! Couple of questions from a real newby! 1) do you select the sizes you wish to use first or do you use the printout to copy onto a pattern material then use? 2) How do you save in a zip file? 3) if it says AO even though there is a slight variation, an AO is an AO is an AO, right? Comments are interesting too. I just ordered my first printshop copies last month and found the whole experience pretty difficult. The first day was with Staples and I spent some time figuring out how to upload. Next day I called to ensure they were ready and check price- DOUBLE what I was estimated at some $70.00 because I had opted to splurge for color for THREE patterns. I refused and then spent about 2 1/2 hours online and on the phone with the company online first comparing, then trying to register, and finally uploading but I was successful in getting 17 patterns printed and shipped for considerably less than Staples locally. I’ll still buyPDFs. I certainly prefer paper! Thank you for writing this up! I have yet to find a local printer with a reasonable price (IE, less than $10 per pattern), and I’ve struggled with the last couple online printers I tried to order from. I was able to make an order through PDF Plotting, and I’m cautiously optimistic! Just to pipe up for anyone nearer the UK, I’ve used Netprinter (https://www.netprinter.co.uk/sewing-pattern-printing/) a few times now and have been very happy with the results. I’m in Ireland and not super convenient to a copy shop, and these have arrived so quickly that it’s been extremely good value. They don’t require you to specify the number of pages, but it’s definitely good to check the pattern before uploading so that you know the uploader has estimated it right. Thanks so much, Michelle and everyone else who wrote, for this information. I absolutely HATE taping and trimming. I have been downloading the A0 files to a thumb drive and taking it to my local chain copy shop. Two different shops have charged me about $10.00 per page. If I need to print out 2 pages, sometimes 3, things get pretty pricey. THEN I need to trace off the pieces when I get the whole thing home! Bah. I stopped ordering pdf patterns altogether. My question is why do you order a pdf print instead of the paper pattern (if offered) rather than go to a local copy shop and print it there? I can download the large copy pdf to a thumb drive and take it to a local shop to have my pattern the same day. I understand the whole taping thing if that’s the only option and have done it often. Now I look for the large pdf format before I buy! I guess if there’s no local shop this is a great service, and I’m fortunate to have one nearby. For me, PDF Plotting is much cheaper (even with shipping) than any of the local shops that I’ve contacted. A) Because I like having the digital copy. It means I can reprint if I mess up/lose it etc. C) Sometimes I buy a pattern for a smaller version (like a skirt) but realise that I want a large version (the full length dress that I can’t be arsed to cut and tape). I have to put in a plug here for PatternReview.com. If you order a pattern through them and that pattern has a copyshop version, you can also order a large format printout. I have done it a couple times and been very happy. The price is very reasonable and my printouts have arrived within a couple days of ordering even with only standard shipping. Unfortunately, if you didn’t buy your pattern from PatternReview you can’t use this service. Also, be aware that if a pattern has multiple copyshop versions you just get one. So for example, I ordered Cashmerette size EF. If I want GH I will need to order another copyshop printout. Never the less, it is an excellent service for a reasonable cost. I am hoping they find a way to work with pattern companies to verify pattern ownership so they can also print patterns you did not purchase through them. Hey there! 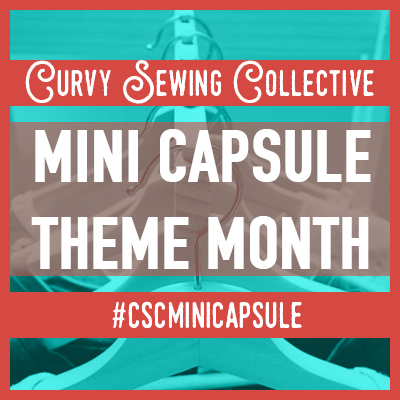 Wanted to share my experience for other CSC members who sew Seamwork or Colette patterns. A few months back, I was turned on to Patternsy through the blog, https://www.seamwork.com/issues/2018/09/september-discoveries-2. I have placed three orders and have been very happy with the product and service. They have most of the Seamwork and Colette patterns loaded into their library so it’s really easy to get pricing and place an order. They have an option to reduce costs by eliminating “extra”space in the pattern if possible. 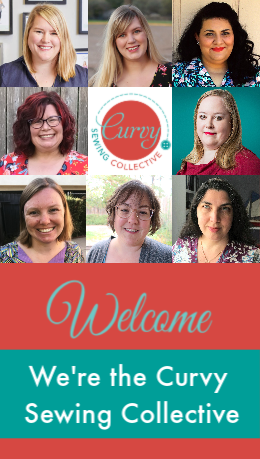 And you can get a discount if you’re a Seamwork member. I’ve found the pricing to be good for Seamwork patterns. It’s a little more expensive for other brands so I may try PDF Plotting for those to see how it compares. 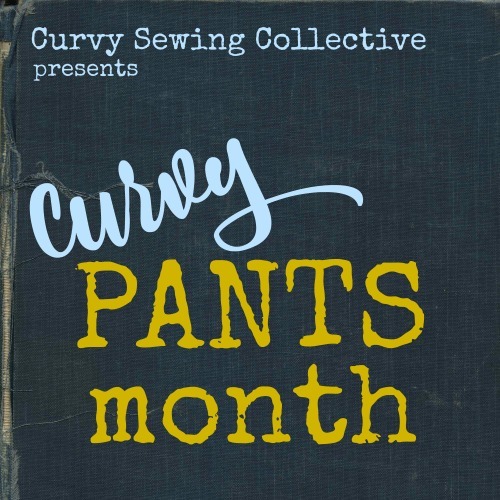 If you’re a Seamwork member, check out Patternsy. You can’t beat it for cost and convenience. It’s my go to! Thanks so much for this great information. Sadly, all the patterns I had purchased and downloaded on to my computer, went to the outer atmosphere when my computer crashed…. I hadn’t back it up in awhile…. 🙁 Anyway, another reason for folks to regularly back up their computers. Thanks again! You might be able to download them again. It seems like most places I’ve downloaded from either give you a link that’s good for 2-3 downloads, or give you on-demand access through your account on thier website. Also, I keep my PDF patterns on the Cloud–Dropbox or Google Drive or similar. It’s a nice backup, and that way I have access to the patterns from my phone when I’m out and about fabric shopping! Darn it! I wish I had this post last week. I finally took the plunge and experimented with getting some patterns printed rather than taping. I did notice that PDF plotting.com had a minimum order size, so that did need to be taken into account. I think it took 3 patterns to meet their minimum. With shipping I think I paid about $17. I’ll need to run the math and see if the paper/ink/tape/time is worth it to me to continue going that route, or not. Thanks for the tutorial, I hadn’t been aware of where to find the paper size and took a wild guess a couple of times.